Where innovative design and back to basics know-how meet your production requirements and expectations. All of our products are designed and built in-house; from conceptual engineering and manufacturing, to controls integration and installation, followed by premier after sales service. A properly designed conveyor system will increase your productivity and safety, providing significant return in cost savings. We pride ourselves in our ability to understand our customers’ needs, undertake the necessary research, and customize the solution that is right for your business. We’re not here to sell you the next off the shelf material handling system; we’re here to turn your production problems into a custom solution reality. Relying on the latest CAD technology, and our in- house certified Solidworks engineering team,we are confident that we can meet your material handling challenge or manufacture to your specifications. Barlow Manufacturing offers a comprehensive line of conveyor product offerings and so much more. We build to last on a line that runs 24/7, excelling in the continuous production environment your business depends on. Our products are only exceeded by our commitment to customer service. We value managed relationships, respect the timeliness and demands of our customers, and stand behind every piece of equipment we build. 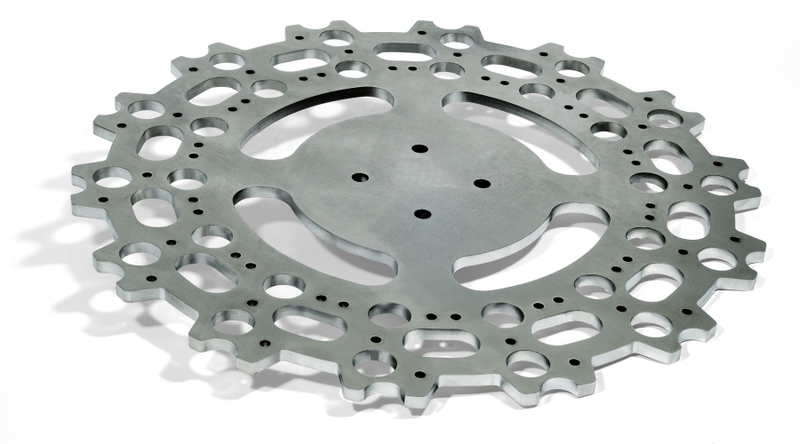 Whether large production runs, single parts or quick prototyping is required, Barlow’s laser cutting service can accomodate your requirements. Quick turnaround and top quality are our main focus. Why waste time and cost laying out complex patterns with cutouts, bend lines and complicated angles? Barlow can electronically draw your part in 3D, “flatten” a pattern and go from CAD to CUT in literally minutes! Learn more about our specific services HERE.